These charts are made with families in mind. 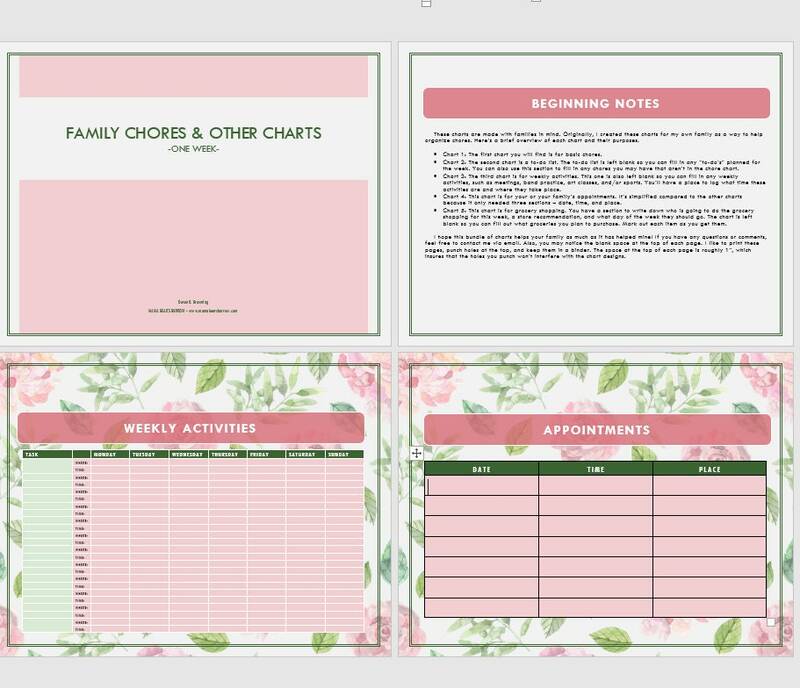 Originally, I created these charts for my own family as a way to help organize chores. Here’s a brief overview of each chart and their purposes. 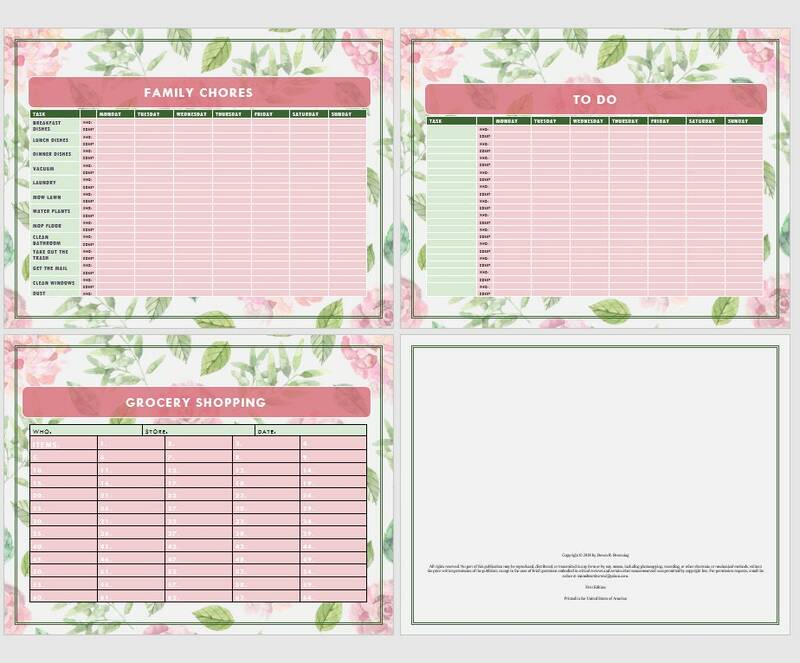 •	Chart 1: The first chart you will find is for basic chores. •	Chart 2: The second chart is a to-do list. The to-do list is left blank so you can fill in any “to-do’s” planned for the week. 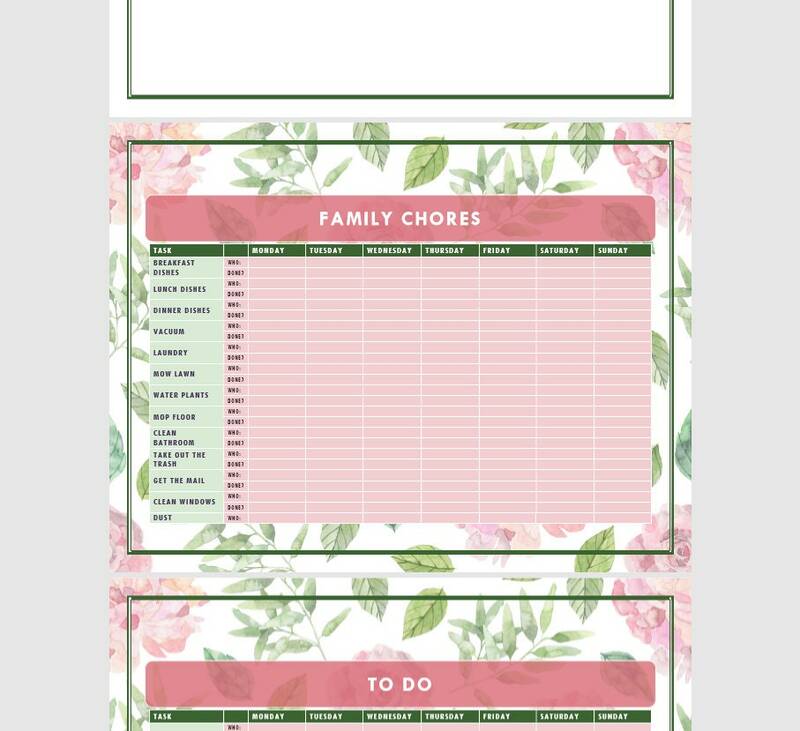 You can also use this section to fill in any chores you may have that aren’t in the chore chart. •	Chart 3: The third chart is for weekly activities. 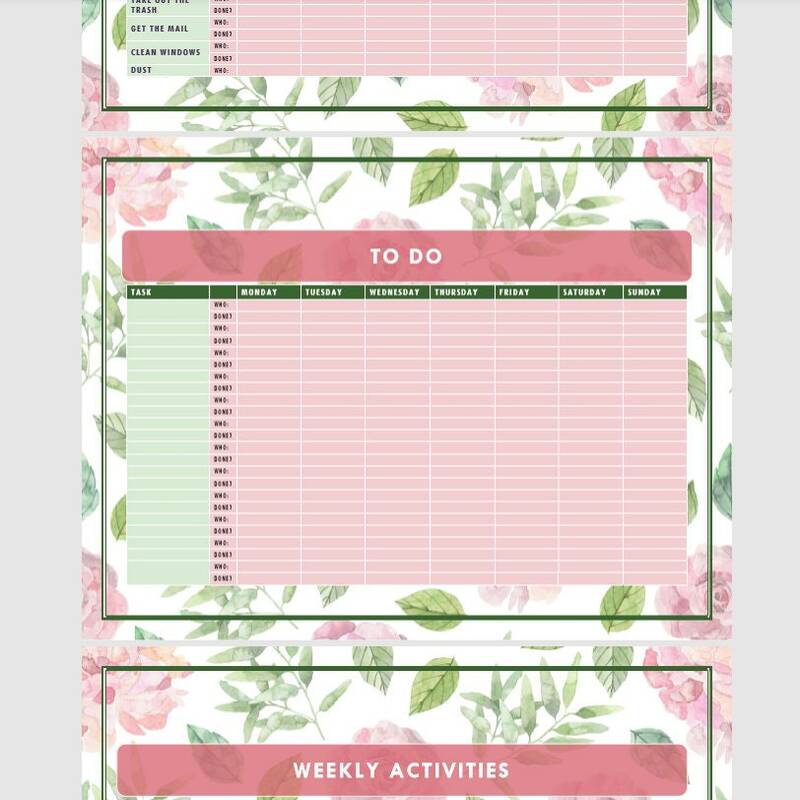 This one is also left blank so you can fill in any weekly activities, such as meetings, band practice, art classes, and/or sports. You’ll have a place to log what time these activities are and where they take place. •	Chart 4: This chart is for your or your family’s appointments. It’s simplified compared to the other charts because it only needed three sections – date, time, and place. •	Chart 5: This chart is for grocery shopping. You have a section to write down who is going to do the grocery shopping for this week, a store recommendation, and what day of the week they should go. The chart is left blank so you can fill out what groceries you plan to purchase. Mark out each item as you get them. I hope this bundle of charts helps your family as much as it has helped mine! If you have any questions or comments, feel free to contact me via email. Also, you may notice the blank space at the top of each page. I like to print these pages, punch holes at the top, and keep them in a binder. The space at the top of each page is roughly 1”, which ensures that the holes you punch won’t interfere with the chart designs. 1 printable PDF file with 8 pages.